Travel theme: Trees | Oh, the Places We See . 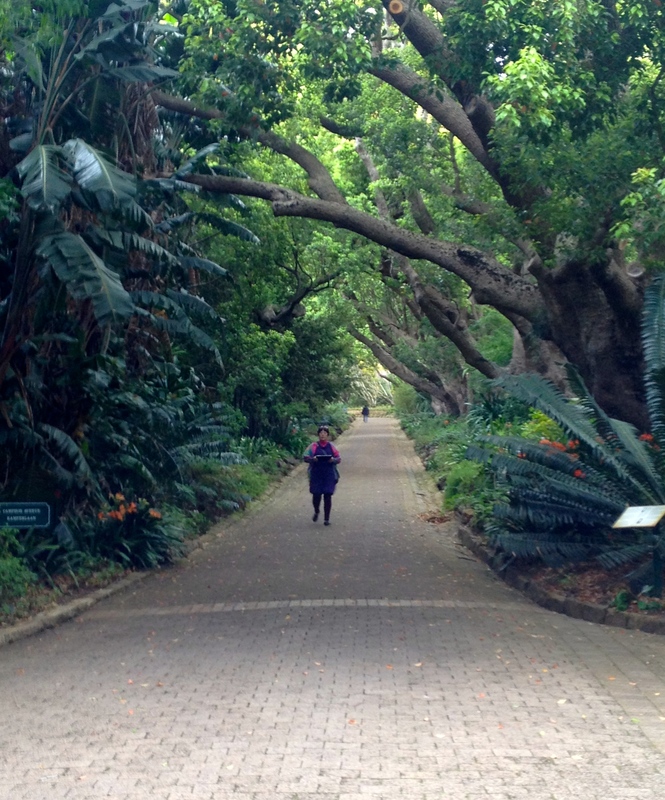 . .
Long winding pathways lined with towering trees, some dating back to the early 1900s, form lasting images for those who visit Kirstenbosch National Botanical Garden in Cape Town, South Africa. For more lasting tree images, check out Ailsa’s blog Where’s My Backpack for Travel theme: Trees. This entry was posted in Travel Theme and tagged Cape Town, Kirstenbosch National Botanical Gardens, South Africa, Travel theme: trees, trees. Bookmark the permalink. It’s truly a magnificent spot filled with beautiful trees, gardens and sculpture. Thanks for commenting! Thanks so much for taking a look. This is one very special garden! Amazing trees! Beautiful path and trees you captured, Rusha! Thanks so much, Amy. Would love to return to this garden in a different season. So much to see there. You’re so right! And this is one of the prettiest gardens we’ve ever visited — commanding old trees, well-marked beds of bulbs and perennials, sculpture, etc. Just lovely. Beautiful gardens begged to be visited. Thanks for visiting! And if you get a chance to go to Cape Town, put these gardens on your to-see list!